Building character, inspiring students, and mobilizing communities for transformational change is what we do here at Thrive. So in honor of National Education and Sharing Day, we’d like to highlight some of the influential leaders in our programs and how they’re embodying the Rabbi’s spirit through their work. Randy is the newest member of our team here at Thrive, and we are so excited to announce that he will be launching a new hip hop music program with us! 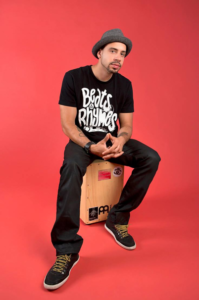 Hailing from the Bronx, Randy is a successful Emcee who uses his passion for hip hop to help today’s youth find their voice and build community. Randy recognizes that hip hop gives students “mic skills and life skills.” They’re learning figurative language, improvisation, creative writing and thinking, and poetry, all while having fun. Students use the 4 elements of hip hop to discover their voice (emceeing), movement (break dancing), a community (DJing), and their name (graffiti). Randy Mason embodies the spirit of National Education and Sharing Day by using his talents to develop the whole student. Our creative director, Sam Wisneski, is an accomplished artist, holding an MFA from New York Academy of Art, teaching graduate fine arts students, and exhibiting in galleries nationwide. But we think his most impressive accomplishment has been innovating and leading our Murals visual arts programs. 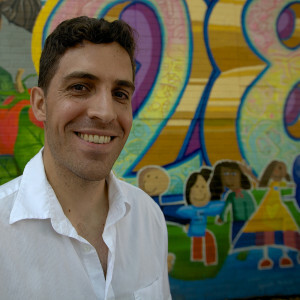 Inspired by his work on the “Welcome” themed mural at PS 102 in 2011 and the “Resilience” mural at PS 329 in 2013, Sam has expanded our mural program to include teaching artists in 43 schools! Lessons for students participating in the mural program stretch beyond basic art skills. They learn teamwork with their peers, experience the satisfaction of taking an idea from inception to execution, and understand the value of community. In fact, one mural can be designed by over 100 students and takes upwards of 450 community members to complete! It’s not hard to see that Sam is focused on empowering our youth through the work that he does. 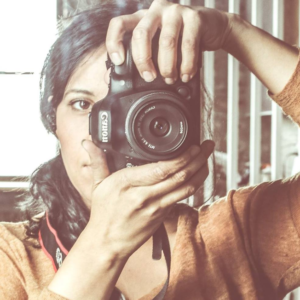 Christine Casado became Thrive’s media director in 2015, but her passion for film began almost 20 years prior when she was given her first video camera as a child. She describes that transformational day by saying, “it was like gold in my hand, a very magical moment.” And now, she gets to impart that feeling onto the youth she works with. Christine leads Little FilmMakers, a curriculum that teaches students the basics of filming, editing, and directing. But those students are learning so much more. Confidence, attention to detail, persistence, and hard work are just some of the character traits youth develop in this program. When a shy child builds up confidence in front of the camera or a student practices scenes and lines to ensure perfection, we know Christine’s students are learning life-long skills well beyond the fundamentals of film making. We salute Christine, Randy, and Sam, and the many other inspirational educators that impact Thrive’s students everyday. However, we want National Education and Sharing Day to extend beyond the reaches of our programs. Think about ways you can continue to inspire the youth in your family and in your community to learn through music, art, film and culture. There are so many things to do in NYC and no shortage of opportunities. Check out these resources below so that you too can celebrate National Education and Sharing Day!